Nandrolone Decanoate steroid 250 mg 1 ml from Radjay Healthcare & Pharmaceuticals is definitely a superb steroid with moderately-weak androgenic qualities, with a long-term effect for 15 days following the injection. Popular as doping for athletes, effectively using mass-gaining cycles. The active substance of the identical name is nandrolone decanoate, the type of nandrolone with prolonged action (that is its primary difference from shorter analogs). 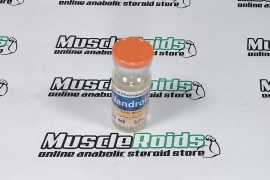 Nandrolone was initially developed not for sports, however for medicinal medical use. But, like the majority of today's steroid sports, it rapidly showed the potency of doping, getting spread from football to bodybuilding. Nandrolone Decanoate Radjay, with proper construction and conduct from the cycle, causes multiple significant effects for athletes. It is important that Nandrolone Decanoate from Radjay is really a moderately-low aromatizing steroid, with the result that the anabolic effect is displayed in better results (without excessive water retention). The steroid isn't hepatotoxic, so it doesn't possess a dangerous impact on the liver.